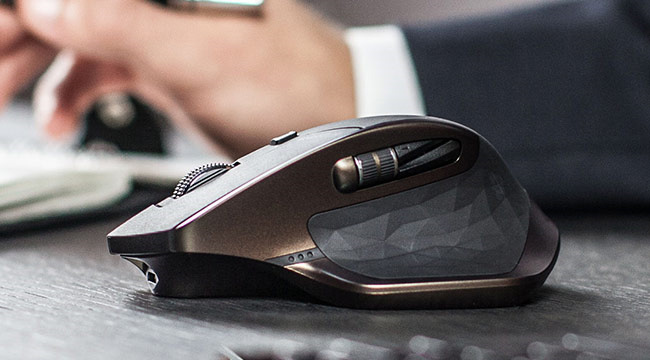 In a bit of news that is a sign of the times, this week Logitech announced that it had completed its exit from the OEM mouse business. The company no longer sells OEM mice, which for a long time accounted for a large portion of Logitech’s revenue. Instead the company will continue to focus on new categories of premium products for retail markets. Logitech was among the first companies to mass-produce computer mice back in the eighties. 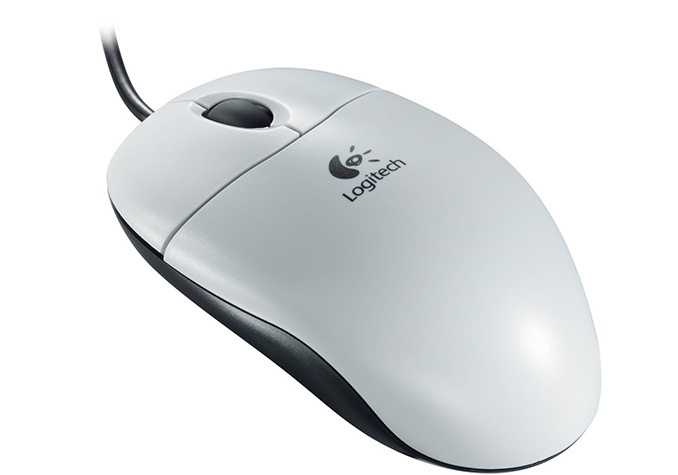 For decades, its mice were supplied with PCs made by various manufacturers and for a long time Logitech’s brand was synonymous to pointing devices. In fact, Logitech’s U96 is among the world’s most famous optical mice since it was bundled with millions of PCs. However, a lot has changed for Logitech in recent years. As sales of desktop PCs began to stagnate in the mid-2000s and the competition intensified, OEM margins dropped sharply. At some point, OEM business ceased to make sense for Logitech: there was no growth and profitability was minimal. Last March the company announced plans to stop selling OEM devices, and in December Logitech made its last-time shipments, entirely depleting its inventory. Sales of OEM hardware accounted for about 4.45% of the company’s revenue in Q3 FY2016, which ended on December 31, 2015. Due to razor-thin margins, Logitech’s OEM business was not exactly something that could be sold for a lot, according to the company. Moreover, it did not make a lot of sense for Logitech to sell it and license the brand to a third party. 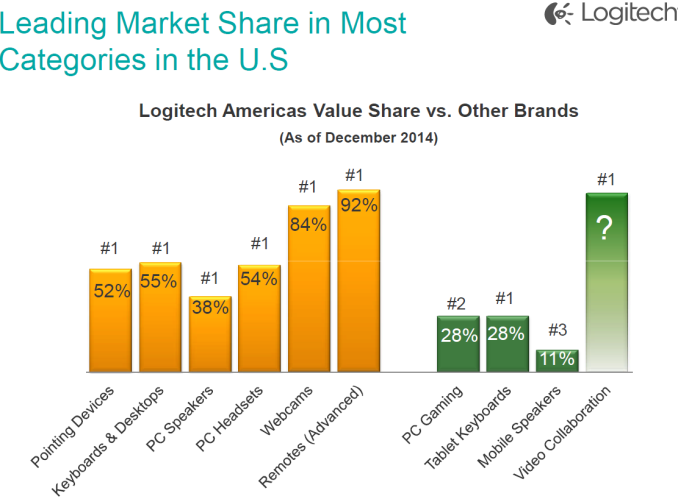 Logitech has been expanding its product portfolio for many years now and while mice, trackballs and keyboards remain three key types of products for the company, they no longer account for the lion’s share of Logitech’s revenue. The manufacturer recognizes gaming gear (which includes mice, keyboards, speakers, headsets, controllers and other devices), mobile speakers, video collaboration as well as tablet and other accessories as its key growth categories of products. Net sales of Logitech's growth category products totaled $224.87 million in Q3 FY2016, net sales of traditional devices totaled $368.87 million, whereas OEM business brought only $26.512 million in revenue. The lack of OEM mice in Logitech's portfolio will be offset by growing sales of other products. Ultimately even though Logitech stopped to sell cheap mice to producers of PCs, Logitech remains one of the world’s largest suppliers of pointing devices and keyboards, and many premium personal computers still come equipped with the company’s advanced keyboards and mice designed for gamers. These days the company has also taken on a more well-rounded portfolio, with significant presences in speakers, PC headsets, webcams, remotes and other devices. I have to say that ever since the move from ball to optical mice, I haven't noticed the difference between any OEM mice or low-end Logitech mice. It points. It clicks. It works. @naris: "That's because the OEM mice probably were low end logitech mice." @DanNeely: "Agreed. I don't know who makes them; but the various Dell branded optical mice I've used at work over the years have all worked well." Not really. Its a pointer to the increasing prevalence of Laptops (where OEM mice aren't included), and a continuing growth in the high-end market.